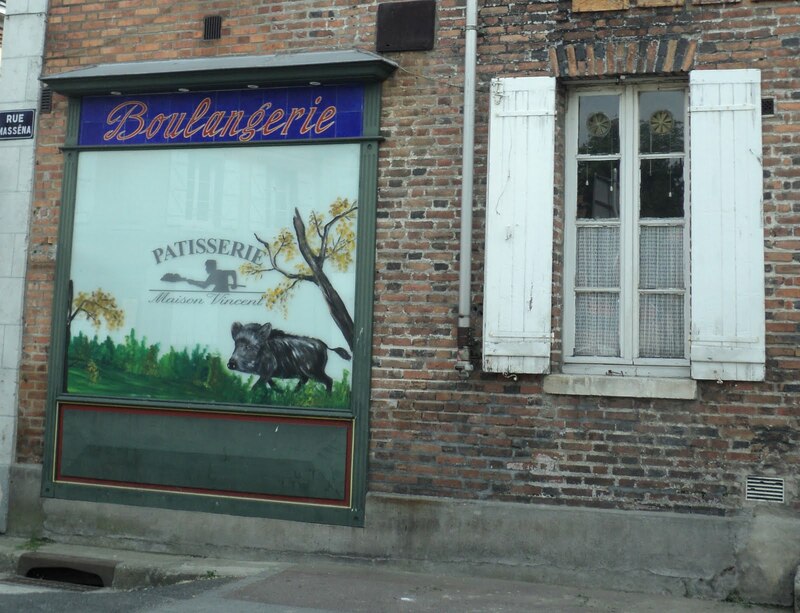 This is Vincent Boulangerie, the first bakery in town when coming from the north, a few blocks past the castle. It's the oldest here, having been open since the turn of the 20th century. It was first run by Joseph Vincent. He was born in 1863 and just 12 years later went to Romorantin south of here to serve as an apprentice with a couple who considered him like their son. Next it was son Jean's turn. He married in 1929 and Marie-Louise worked by his side. (She was a modern woman who even drove a car.) They took over the business in July 1950 and wanted to open a new bakery, but at the time of this decision, a car unfortunately crashed into their storefront, pulverizing the façade. They were forced to rebuild. Their son Jeannot began his apprenticeship in 1947. He was passionate about his work and slowly replaced his father when he became ill and later died. In the 1960s and 70s, there were many modern advances in the industry... new tools, brick ovens replaced by metal ones... Jeannot married Michelle, and more and more Marie-Louise came to depend on her daughter-in-law. It was hard work, six days a week, but apparently all the Vincents loved their field. Since 1998, Jeannot and Michelle's son Bruno has held the reins, with help from his wife Claudine. In 2006, they created a Salon de Thé in an adjacent room, where people can enjoy cakes, salads and quiches in a quiet atmosphere.